How to study Mega-earthquakes? By generating them! 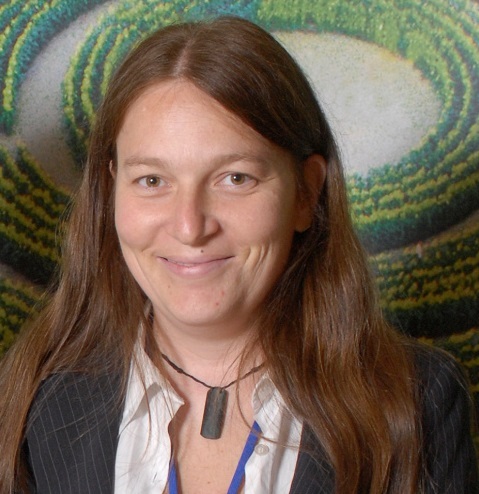 Francesca Funiciello is an Associated Professor at Roma Tre University (Rome, Italy). 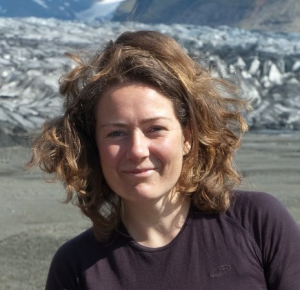 Her research interests are, among others, geodynamics, seismotectonics, rheology of analogue materials and science communication. 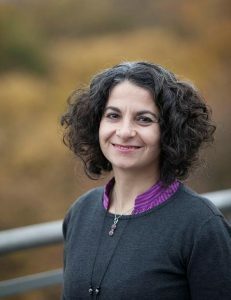 She leads an active and young research group composed by Fabio Corbi, Silvia Brizzi and Elenora van Rijsingen, and collaborates with many other young and experienced researchers in Europe. The main activities of Francesca, Fabio, Silvia and Elenora involve analogue and numerical modelling of subduction zones, geophysical data analysis and geostatistics in the field of mega-earthquakes. Hi guys, can you tell us a bit more about “mega-earthquakes” and why it is so important to study them? The interface between the subducting and overriding plates (Fig.1), the so-called megathrust, hosts the largest earthquakes on our planet Earth. They are generally called mega-earthquakes, with the prefix ‘mega’ highlighting both the fault originating them and their size. A quite recent example of a mega-earthquake is the Sumatra-Andaman event that occurred in 2004. The length of the fault that ruptured was ca. 1000 km and it generated a magnitude in the range of Mw 9.1–9.3 (Lay et al., 2005; Stein & Okal 2005; Subarya et al., 2006; Fujii & Satake 2007), where Mw denotes moment magnitude, a logarithmic measure of earthquake size. There had not been an event so large since the 1964 Alaska earthquake. The energy released during the Sumatra-Andaman 2004 event was in the range 5–10×1022 Nm—equivalent to the sum of the moment of all earthquakes in the preceding decade, worldwide (Lay et al., 2005). Figure 1 – Schematic section through a subduction zone. The interface between the overriding and subducting plate is the so-called megathrust. 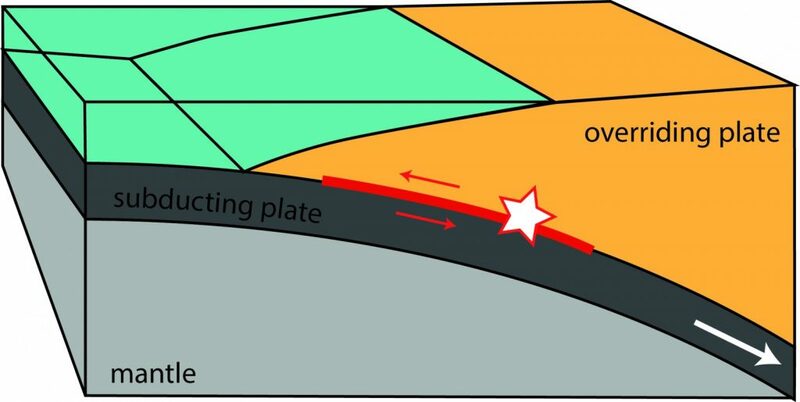 The red star highlights the hypocenter of a megathrust earthquake (courtesy of S. Brizzi). Subduction mega-earthquakes (together with the tsunamis they may generate) are among the largest hazards for human life, considering that millions of people live in proximity of subduction zones (e.g., the NE-Japanese and South American subduction zones), which are located at the edges of the Pacific Ocean. 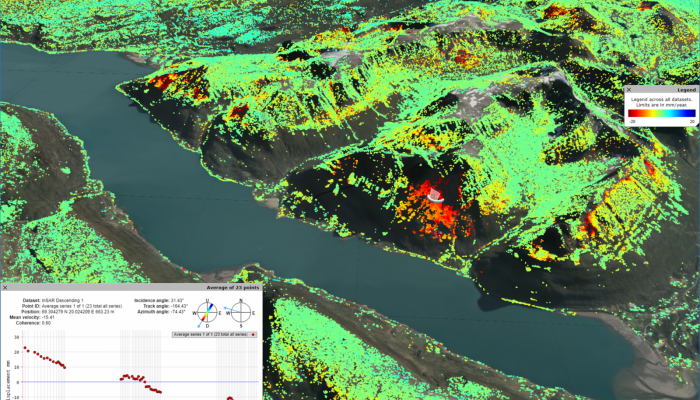 Which approach does the scientific community adopt to study mega-earthquakes?